Ted Cruz (right) will focus his resources on winning Indiana, while John Kasich will focus on such western states as Oregon and New Mexico. WASHINGTON — Ted Cruz and John Kasich revealed late Sunday that they will coordinate with each other in several upcoming primaries in an attempt to stop Donald Trump from gaining the Republican nomination for president, an unprecedented development and a last-ditch effort to stop the front-runner. The decision intensifies the anti-Trump momentum and threatens to further splinter the Republican Party in the last few weeks of a volatile campaign. The business magnate won almost all of the delegates in New York last week and is poised for another strong showing in five states voting on Tuesday, mustering a head of steam that could be difficult to stop. But in statements from the Cruz and Kasich campaigns, sent minutes apart, both remaining candidates say they will attempt to help each other win in at least three crucial contests. In order to help Cruz consolidate support, Governor Kasich is planning to pull out of Indiana, which is next to his home state of Ohio and will vote on May 3. That decision comes just hours after a poll showed Trump with a lead. But if the numbers for Kasich and Cruz were combined, Trump would be behind. That CBS News poll had Trump with 40 percent, followed by Cruz at 35 percent and Kasich at 20 percent. In order to aid Kasich, Cruz plans to pull out of New Mexico and Oregon, states that could be more inclined to support a moderate like Kasich. Oregon votes on May 17, while New Mexico votes on June 7. “For the first time in a very long time, Rhode Island’s primary actually matters,” an aide to the state’s House speaker said. The campaigns are urging all other third parties, including super PACs supporting them and several anti-Trump groups, to follow their lead. 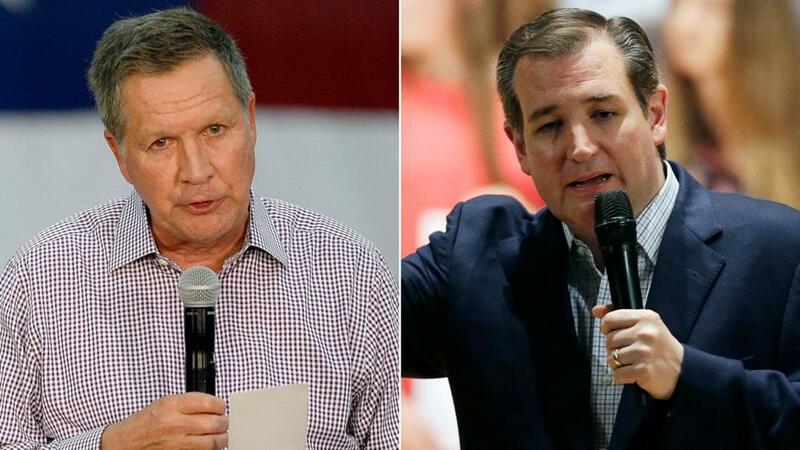 The coordinating between Cruz and Kasich applies only to the three upcoming states, they said. “In other states holding their elections for the remainder of the primary season, our campaign will continue to compete vigorously to win,” Roe said. Kasich’s chief strategist, John Weaver, issued a similar statement. Because Indiana is a winner-take-all state, awarding delegates to those who win statewide as well as in each congressional district, Weaver said, one main goal is keeping Trump from a plurality. “We will focus our time and resources in New Mexico and Oregon, both areas that are structurally similar to the Northeast politically, where Governor Kasich is performing well,” he said. Kasich has no mathematical shot at winning the nomination outright, and Cruz will likely be eliminated on Tuesday. So at this point their only shot at competing for the nomination is preventing Trump from winning the 1,237 delegates needed to secure the nomination. Under that scenario, there would be a contested convention when the Republican Party meets in July and an alternative candidate could emerge. But the latest gambit could be too little, too late. It follows a scenario that 2012 Republican nominee Mitt Romney outlined nearly two months ago in a speech in which he urged his party to stop Trump. Voters, he said, should select whichever candidate in their state had the best chance to win against Trump, even if they didn’t necessarily support that candidate. 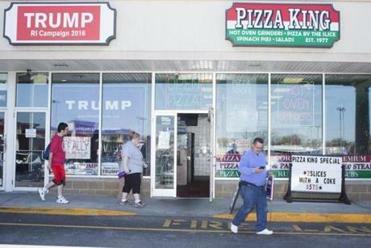 But Cruz and Kasich continued campaigning aggressively.